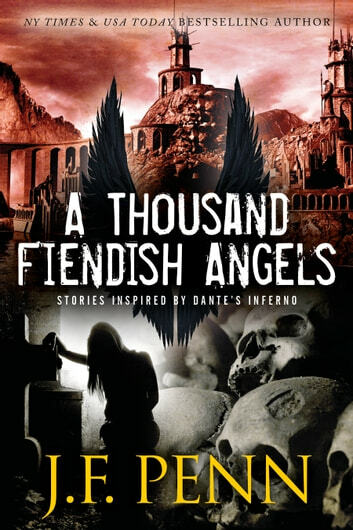 Three short stories inspired by Dante’s Inferno, linked by a book of human skin passed down through generations. When the tortured and mutilated corpse of a wealthy author is discovered, the police officer sent to investigate finds a curious diary amongst the occult objects at the scene. Will he uncover the author’s secret at the ruined chapel, and is he willing to pay the price that it demands? In a brutal post-apocalyptic world, a young girl is about to be taken to The Minotaur for a Blessing that will end her innocence. Can her sister gain access to the fortified city of Dis in time to stop the ritual and avenge her own lost youth? If you enjoy supernatural thriller, dark fantasy, or horror short stories, download a sample or buy now. 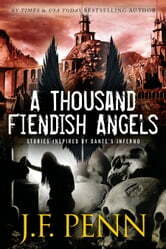 I love Joanna`s descriptive writing...these stories are as captivating as her books! The clarity on how the stories can portray raw human emotion, tension, desperation and drama is impressive, considering that these are only short stories. Another Absolutely Great Book from J.F. Penn!! Her writing always leaves you wanting more. She has an uncanny knack for keeping the reader completely absorbed right to the end. I would recommend any of her books.